Welcome on Freightliner Trois-Rivières’s website, authorise Dealer for the prestigious brand of small and heavy duty truck, Freightliner. 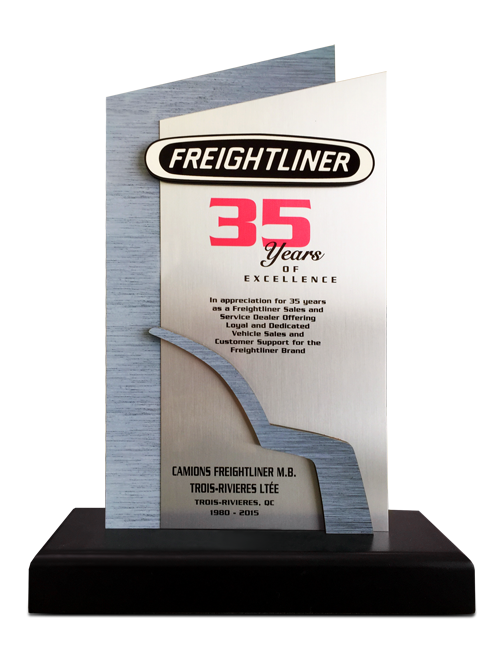 With the largest market share in North America, Freightliner is the undisputable market leader in the truck industry. Dealer since 1980, founded by M. Laurent J. Deshaies, Camions Freightliner Trois-rivières is one of the oldest dealership in the province of Quebec with over 35 years of experiences in the business.